No two patients with Alzheimer’s disease are the same. No two patients with diabetes are the same. No two children on the autism spectrum are the same. Families with loved ones enduring personal health struggles like these and many others often run into walls looking for a health care agency in Virginia that really takes the time to understand and fulfill their loved one’s needs on a very individual level. At Home Personal Care excels at this, and it’s one of the many things that has made our team one of the top healthcare agencies in Virginia. One of the first things we do here at At Home Personal Care is design an individual treatment plan for your loved one. To create this plan, we collaborate with your family and all of your loved one’s doctors and therapists so that we can focus precisely on the elements of care that will most improve your family and loved one’s quality of care and quality of life. For example, there are seven stages of Alzheimer’s disease, but one patient may be at one level of one stage, while another on the same stage has different needs and complications from other health issues. Some may need 24-hour in-home care with skilled nurses to manage their medications and care schedule. Patients in mild cognitive decline may not need 24-hour skilled nursing care, but they might benefit significantly from therapies that can slow their decline into the next stages and help them live life to the fullest for as long as possible. Our strength is being able to understand the individual needs of each patient without simply lumping them into categories. Each care plan is highly personalized and tailored to what your loved one needs. At Home Personal Care builds teams that have specialized skills and training to work with your loved one and care for his or her needs. We have diabetes and arthritis specialists. Our senior healthcare team covers all levels of Alzheimer’s disease and dementia, as well as all other major medical diagnosis that can beset seniors of all kinds. We have skilled nurses who can help make the transition from hospital to home after an accident or illness easier and improve the recovery time and outcome. We have medication management specialists. We have certified nurses assistance who are specialized in providing assistance for children with a variety of developmental disabilities, including Down’s Syndrome and challenges across the Autism Spectrum. Best of all, our certified nurse assistants work together to provide high quality, personalized care for each of our patients. Another thing you won’t find with every healthcare agency in Virginia is a willingness to collaborate with outside caregivers. 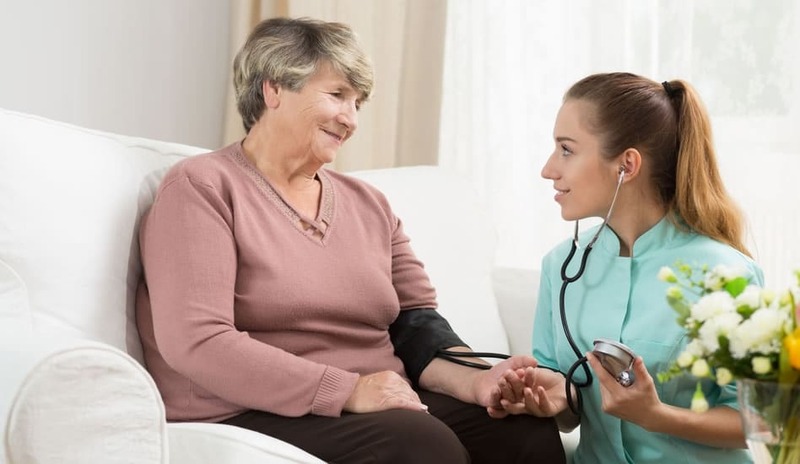 Your At Home Personal Care team, on the other hand, is eager to share insights and ask questions and find out more from doctors and therapist who have already been working with your loved one. This gives us insights that can help us as we personalize the care plans to ensure the highest quality and continuity of care for your family. Each of our professionals is required to continue his or her training and education—always. We live in a wonderful age of discovery and developments in technology, medicine and therapies that can significantly improve the care we are able to give and the quality of life your loved ones are able to enjoy. We are passionate about staying current with the latest developments so that we can pass those benefits on to you. It all boils down to this: We want to do our best for you. We develop personal relationships with the families we serve and we care deeply about our patients and want to make sure your loved ones are as happy, healthy, confident, independent and well-cared for as possible—which puts us all on the same page. If you are looking for the best Virginia healthcare agency for your loved one, please call At Home Personal Care today at (703) 330-2323 and let’s talk about how we can help. We are here for you.